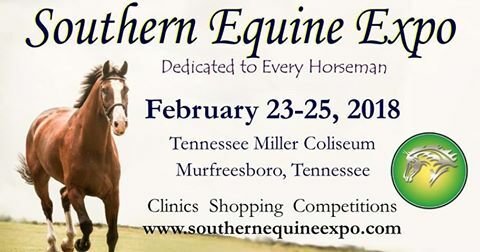 Tennessee Valley Paso Fino Horse Association is proud to announce we have been invited once again to participate in the Southern Equine Expo. Download the Clinic Flyer below for more details. The PFHA Elections will be held in Las Vegas, Nevada on January 25-26, 2019. Tennessee Valley will hold a Membership and Board meeting in conjunction with the elections. USEF has a new requirement for people who show Safe Sport. It is mandatory to show for 2019. Visit the USEF Safe Sport website for all of the details. The TVPFHA Fall Board/Membership meeting will be held Saturday, October 21, 2017 at the home of Stella and G.C. Hixson. Please let us know if you will attend the meeting, so that we may plan adequately for lunch. All of us who have bred horses know and understand that not every foal will be destined for the Show Ring. Such was the case for the grey colt we named “Duende” which means “something extra special”. His grandsire was none other than Mar de Plata Lace and his dam had strong old bloodlines. However, Duende was “different” and a puzzle to understand. For the first year of his life he put me through challenges no other foal had or has since. He was difficult to handle and really preferred not to be handled. He made it an event to return to the barn at night with his mother and me, and trust in his people came slowly. At 2 ½ years old, we gave him to Ned Wilson who is an excellent trainer with young horses. Ned told us Duende was the most difficult horse he had ever trained to saddle. When his early training was complete, Duende came home. 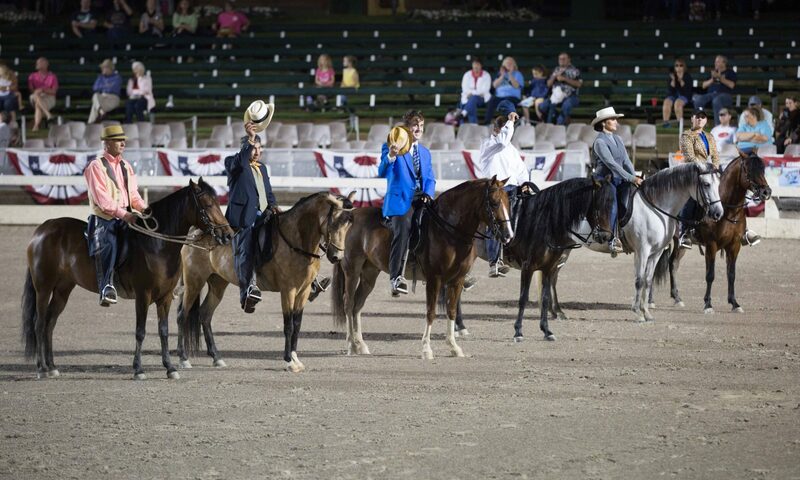 It was clear Duende was not a Show Horse. He worked fine on trail, but that did not excite him. He disliked the vet and farrier, and he was not attracted to most people. What was Duende’s purpose in life? At around age 3 1/2, the colt gave me an “aha” moment. I began to observe that Duende spent a lot of time leaning over the fence watching the mares and babies. He studied them and you could almost see his mind learning from the mares and assessing the babies. Duende had uncovered his talent and what made him indeed a special gelding. Over the years, Duende and I became special friends. He was my second in command, and I trusted him implicitly with babysitting our precious foals, guarding and protecting them and teaching them horse manners and good decision-making. Duende was firm but gentle and each foal in his care was an individual whose special needs he identified. An example of his superior intelligence occurred one Sunday morning when I went to the barn for morning feeding. Duende had 7 colts and 1 filly in his care that year, ages 5-9 months. He always brought his little herd up to the fence close to the barn where all the feed buckets were lined up. Not this morning. He did not respond to my calls, so I got on the 4-wheeler to investigate. As I approached the end of the paddock close to the road, I saw a 16-foot top board on the ground. The foals could easily have jumped out of the paddock and into traffic. Duende had all 8 babies lined up in a row facing him like a drill sergeant in front of the downed fence. I was amazed. Not one foal moved until I had the board back in place and Duende gave the OK. When Duende was well into his twenties and growing old, he trained another gelding that he selected to take over his job. El Jaleo, a 4th Grand National Champion Gelding, listened and learned well. The day Duende was assisted to Heaven, he was quietly in the arena, with all the doors closed and his favorite people and cats surrounded him. The other horses could not see or hear, but they all knew. Duende had helped to raise every horse on the farm, and as he passed a hush came over the whole farm. All of the horses appeared depressed and went off their feed for several days. The grey colt who could not find himself had become a “Star”, and left his human and animal friends with a big hole in their hearts.